1) Nichols – Az. two bars erm. in chief three suns or. Crest—Out of a ducal coronet or, a demi lion ramp. ar. 2) Nichols – (co. Norfolk). (Lawford Hall, co. Essex). Ar. on a chev. betw. three foxes’ heads erased sa. as many crescents erm. a canton of the second. Crest—A fox’s head erased ppr. 3) Nichols – (granted 23 March, 1861, to John Bowyer Nichols, Esq., of Hanger Vale, Ealing, F.S.A., grandfather of John Bruce Nichols, Esq., of Holmwood, co. Surrey). Az. on a fesse humettee betw. three lions’ heads erased or, two eagles rising of the field. Crest— A lion’s head erased .az. gorged with a collar gemel or, betw. two wings, paly of six or and az. Motto—Labor ipso voluptas. 4) Nicholl – (co. Cornwall). Sa. a pheon ar. Crest—A cubit arm holding a bow all ppr. 5) Nicholl – (Penros, co. Cornwall; Humphrey Nicholl, Esq., of Penros, Visit. Cornwall 1620, son and heir of Humphrey Niciioll, of the same, was father of Anthony Nicholl, aged 9 years at Visit.). Sa. a pheon ar. Crest—A Cornish chough ppr. 6) Nicholl – (Llantwitt-Major, co. Glamorgan). (The Ham, co. Glamorgan). (Tredunnock, co. Monmouth). (Dimlands, co. Glamorgan). (Penlline, co. Glamorgan). (Llanmaes, co. Glamorgan). (Merthyr Mawr, co. Glamorgan). Sa. three pheons ar. Crest—A Cornish chough, wings elevated ppr. perched on the battlements of a tower ar. 7) Nicholl – or Nicol – (Penrose, co. Cornwall, originally of Guernsey: settled at Penrose in the sixteenth century). Same Arms. Crest—A cubit arm ppr. holding a bow or, stringed ar. 8) Nicholl – (Greenhill Grove, co. Hereford). Az. two bars erm. in chief three suns or. 9) Nicholl – (borne by John Nicholl, Esq., of Islington, co. Middlesex, son of John Nicholl, by Mary his wife, dau. of Matthias Miller, of Epping, and grandson of Joseph Nicholl, Esq., of Hadham). Ar. on a chev. az. betw. three wolves’ heads erased sa. as many crescents erm. on a canton of the third a pheon of the field. Crest—A squirrel sa. holding a pheon ar. 10) Nicholl – (granted to John Nicholl, Esq., F.S.A., of Theydon Gernon, co. Essex, and Canonbury Place, Islington). Quarterly, sa. and gu. a pheon ar., in the first quarter a falcon belled of the third. Crest—A demi lion ramp. guard. ar. guttée de poix, holding in the dexter paw a lily ppr. Motto—Fort Fahren und Verharren. 11) Nicholls – (Islip Willen, co. Buckingham). Az. semée of crosses crosslet fitchée or, three eagles displ. in bend betw. two cotises engr. of the last. Crest—An eagle rising or, sustaining a cross crosslet fitchée of the last. 12) Nicholls – (Trewane, co. Cornwall; John Nicholls. Visit. Cornwall, 1620, son and heir of John Nicholls, and grandson of John Nicholls, all of same place, m. Elizabeth, dau. of Edmund Fortesue, Esq., of Fallopit, and had a son and heir, John Nicholls, aged seven years at Visit.). (Hardwick, co. Northampton, bart., extinct 1717; Francis Nicholls, Esq., of Hardwick, son and heir of Thomas Nicholls, Esq., of Pickley, in same co., who d. 1568, son of Nicholls, of Ecton, in same co., temp. Edward IV. Visit. Leicester, 1619). Sa. three pheons or. 13) Nicholls – (co. Cornwall, confirmed by Camden, Clarenceux). Same Arms. Crest—A hand couped above the wrist, lying fessways holding a bow, strung, and across it an arrow all ppr. 14) Nicholls – (Faxton, co. Leicester; Augustine Nicholls, of that place, one of the Justices of the Common Pleas, second son of Thomas Nicholls, Esq., of Pickley, d. 1617, leaving his nephew, Francis Nicholls, Esq., of Hardwick, his heir. Visit. Leicester, 1619). Same Arms, a crescent for diff. 15) Nicholls – (Tilton, co. Leicester; William Nicholls, Esq., of Tilton, third son of Thomas Nicholls, Esq., of Pickley. Visit. Leicester, 1619). Same Arms, a mullet for diff. 16) Nicholls – (Saffron-Walden, co. Essex). Ar. on a chev. az. betw. three wolves’ heads erased sa. as many crescents erm. on a canton of the third a pheon or. Crest—A squirrel ppr. 17) Nicholls – (co. Essex). Sa. a pheon ar. on a canton of the second an owl ppr. 18) Nicholls – (Boycote, co. Salop). Sa. a pheon ar. a crescent for diff. Crest—A Cornish chough. 19) Nicholls – (Bowells, co. Salop). Sa. three pheons ar. a canton of the last. 20) Nicholls – (Culverlands, co. Berks). Sa. three pheons ar. Crest—A cubit arm ppr. holding a bow or, stringed ar. Motto—Fide sed cui vide. 21) Nicholls – (John Nicholls, Controller of the Works at London Bridge. Visit. London, 1586). Az. a fess betw. three lions’ heads erased or. Crest—A tiger sejant erm. 22) Nicholls – (Trewane, in St. Kew, co. Cornwall; confirmed by Camden, Clarenceux; extinct when John Nicholls, Esq. d. 1709; the heiress m. Glynn, of Glynn). Sa. three pheons ar. Crest—A hand couped above the wrist lying fesseways ppr. holding a bow or, stringed ar. 23) Nicholls – (granted to Benjamin Nicholls, Esq., Mayor of Manchester). (Treriefe, in Madron, co. Cornwall; temp. Elizabeth). Per chev. or and az. a castle betw. three pheons counterchanged. Crest—Two battle axes in saltire in front of a castle surmounted of a Cornish chough all ppr. the dexter paw resting on a pheon sa. Motto—Semper fidelis. 24) Nicholls – (Swafield, co. Lincoln). Az. a fess betw. three lions’ heads erased or. 25) Nicholls – (Baynham, co. Suffolk). Gu. a chev. ar. betw. three trefoils stalked or. 26) Nicholls – or Nycolls – Quarterly, or and gu. a bend sa. 27) Nicholls – (Whitgreave, co. Stafford; granted by Cooke, Clarenceux). Sa. three pheons ar. a canton of the last. Crest—A wolf’s head erased sa. 28) Nicholls – (Drogheda, co. Louth; Fun. Ent. Ulster’s Office, 1677, Edward Nicholls, Alderman of Drogheda). Gu. on a chev. betw. three griffins’ heads erased ar. as many crescents of the first. 29) Nicholas – (France). Gyronny of eight ar. and gu. in chief an eagle displ. sa. 30) Nicholas – (Winterborne Earls, co. Wilts, cos. Devon and Somerset; granted 1612). Ar. on a fess sa. betw. three ravens ppr. as many lions ramp. of the first. Crest—A raven, wings elevated sa. perched on the battlements of a tower ar. 31) Nicholas – (granted, 1649, to Sir Edwahd Nicholas, Secretary to Charles II.). Quarterly, 1st and 4th, ar. on across gu. an imperial crown or; 2nd and 3rd, ar. a fess wavy betw. three ravens sa. Crest—A lion pass. az. semée of estoiles or. 32) Nicholas – or Nicholls – (Prestbury, co. Gloucester, Allcannings and Roundway, co. Wilts). Or, on a chev. betw. three ravens sa. two lions combatant ar. Crest—A quatrefoil on a stalk ragulée or, charged with a martlet sa. 33) Nicholas – (London). Az. on a chev. betw. two eagles displ. in chief and a lion pass. in base or, three torteaux, the middle one charged with a leopard’s face, and the other two with an escallop all ar. 34) Nicholas – (London). Or, three fleurs-de-lis az. on a chief gu. a lion pass. of the field. 35) Nicholas – (London). Az. on a chev. betw. two eagles displ. or, a lion pass. of the field. 36) Nicholas – (London, and Ashton Keynes and Roundway, co. Wilts). Az. a chev. engr. betw. three owls or. Crest—On a chapeau az. (another, gu.) turned up erm. an owl, wings expanded or. 37) Nicholas – (co. Middlesex). Az. on a chev. betw. two eagles displ. in chief and a lion pass. in base or, a torteau charged with an escallop ar. 38) Nicholas – (co. Worcester). Ar. a fess sa. betw. six holly (another, oak) leaves vert. 39) Nicholas – Ar. on a cross gu. a crown or. Crest—A lion pass. az. semée of estoiles or. 40) Nicholas – Ar. on a cross gu. a rose or. Crest—A lion statant or, semée of estoiles az. 41) Nicholas – Ar. on a chev. az. betw. three tigers’ heads erased sa. as many crescents erm. 42) Nicholas – Per pale ar. and sa. six crescents counterchanged, two, two, and two. 43) Nicolas – (co. Cornwall; descended from Nicolas, of Brittany, in France, and established in England immediately after the revocation of the Edict of Nantes, by Abel Nicolas, son of Jean Nicolas, Chevalier des Champs Gerault, who with his brother, Germain Nicolas, Seigneur de Claye, was on the “Reformation do la Noblesse ” of Brittany, 20 August, 1669, recognised as noblesse of ancient extraction. The ancient Arms of the family of Nicolas, Seigneurs de Claye, de Champs Gerault, &c., are—Gu. on a fesse ar. betw. three wolves’ heads erased or, three martlets sa. Crest—A wolf’s head erased or, issuing from a coronet. Supporters—Dexter, a lion reguard. or, langued gu. ; sinister, a syren ppr. Motto—En bon espoir. In 1816, Captain John Harris Nicolas, of East Looe, in Cornwall, the representative of the family in England, received a grant of arms from the Heralds’ College, us follows:—Gyronny of eight ar. and az. an eagle displ. erminois, on a chief wavy (in allusion to the services of Capt. Nicolas, and of his eldest son, Capt. Toup Nicolas, C.B.) erm. a trident or, surmounting in saltire a flagstaff ppr. thereon hoisted a pennant gu. both passing through a chaplet of laurel vert. Crest—A demi eagle sa. wings elevated erminois, each charged with a cross couped gu. issuing from a naval crown or. And on 16 October 1816, Capt. Toup Nicolas received the following augmentation, to the above crest: the word “Pilot ” inscribed on the rim of the naval crown, ‘‘in commemoration of his distinguished services in H.M. sloop “Pilot” on the cast and west, coasts of Calabria, during the years 1810, 1811, and 1812; and also in allusion to the gallant action fought near Toulon, between H.M. said sloop and the French national ship “La Legére” of 28 guns and 300 men on June the 17th, 1815.” Motto—Patria cara carior fides. 44) Nicolas – (co. Cornwall; descended from Nicolas, of Brittany, in France, and established in England immediately after the revocation of the Edict of Nantes, by Abel Nicolas, son of Jean Nicolas, Chevalier des Champs Gerault, who with his brother, Germain Nicolas, Seigneur de Claye, was on the “Reformation do la Noblesse ” of Brittany, 20 August, 1669, recognised as noblesse of ancient extraction. The ancient Arms of the family of Nicolas, Seigneurs de Claye, de Champs Gerault, &c., are—Gu. on a fesse ar. betw. three wolves’ heads erased or, three martlets sa. Crest—A wolf’s head erased or, issuing from a coronet. Supporters—Dexter, a lion reguard. or, langued gu. ; sinister, a syren ppr. Motto—En bon espoir. In 1816, Captain John Harris Nicolas, of East Looe, in Cornwall, the representative of the family in England, received a grant of arms from the Heralds’ College, us follows:—Gyronny of eight ar. and az. an eagle displ. erminois, on a chief wavy (in allusion to the services of Capt. Nicolas, and of his eldest son, Capt. Toup Nicolas, C.B.) erm. a trident or, surmounting in saltire a flagstaff ppr. thereon hoisted a pennant gu. both passing through a chaplet of laurel vert. Crest—A demi eagle sa. wings elevated erminois, each charged with a cross couped gu. issuing from a naval crown or. And on 16 October 1816, Capt. Toup Nicolas received the following augmentation, to the above crest: the word “Pilot ” inscribed on the rim of the naval crown, ‘‘in commemoration of his distinguished services in H.M. sloop “Pilot” on the cast and west, coasts of Calabria, during the years 1810, 1811, and 1812; and also in allusion to the gallant action fought near Toulon, between H.M. said sloop and the French national ship “La Legére” of 28 guns and 300 men on June the 17th, 1815.” Motto—Patria cara carior fides. 45) Nicolas – (allowed 1832 to Sir Nicholas Harris Nicolas, Chancellor and Knight Grand Cross of the Order of St. Michael and St. George, fourth son of Captain John Harms Nicolas, R.N., of East Looe). Ar. a fess engr. and in chief three eagles displ. gu. Crest—A fetterlock or, the fetter passing through a plume of five ostrich feathers alternately ar. and gu. Supporters (as G.C.M.G., granted 1 Dec. 1840)—On either side the Sept Insular lion, viz., a lion guard. with wings elevated, holding in the forepaw a book and seven arrows, with a glory round the head, all or. Motto—Patria cara carior fides. 46) Nicolas – (co. Huntingdon). Ar. three fleurs-de-lis gu. on a chief az. a lion pass. guard. or. 47) Nicolas – (Brittany). Gu. on a fesse ar. betw. three wolves’ heads erased or, as many martlets sa. Crest—A wolf’s head issuing from the coronet of a count all ppr. 48) Nicolas – Ar. a fesse wavy sa. betw. three ravens ppr. ; another, Or, on a cross gu. a ducal crown or. 49) Nicol – (Alloa, co. Clackmannan, 1733). Az. on a fess ar. three mascles of the first, in chief a ship with saila furled and rays across the mast of the second, in base a globe ppr. and two anchors in saltire ar. Crest—A dexter hand hold¬ing a quadrant ppr. Motto—Scdulitate. 50) Nicol – (Lord Provost of Aberdeen, 1872). Per pale invecked az. and ar. a fess betw. four mascles counterchanged. Crest—A demi lion ramp. az. Motto—Nil sisterc contra. 51) Nicol – (Ballogic, co. Aberdeen, 1875). Az. a fess ar. betw. three mascles or. Crest—A greyhound’s head ppr. Motto—Sedulitate. 52) Nicoll – (Henden Place, co. Middlesex). Az. on a fess betw. three lions’ heads erased ar. as many birds ppr. 53) Nicoll – (London; granted to Donald Nicoll, Esq., Sheriff of London, of Oldfields, Acton, Middlesex). Az. a fess betw. in chief three mascles or, and in base a sword erect ppr. within an oak wreath gu. Crest—A greyhound’s head erased sa. charged with a mascle or, and in the mouth a thistle slipped ppr. Motto—Deo duce comite industria. 54) Nicoll – Sa. a pheon ar. Crest—A sparrow-hawk sa. beaked and legged gu. 55) Nicoll – Gu. a chev. ar. betw. three trefoils, stalked, couped, and ragulée or. 56) Nicoll – Az. on a fess betw. three lions’ heads erased ar. as many martlets sa. Crest—A lion’s head erased az. collared ar. thereon three martlets sa. 57) Nicolle – (Jersey, Guernsey, and Penrose, co. Cornwall). Sa. a pheon ar. Crest—A cubit arm ppr. holding a bow or, stringed ar. 58) Nicolle – (Jersey). Az. three crescents or. Crest—A falcon rising belled ppr. Motto—Essorant victorieux. 59) Nicolls – or Nycolls – (London). Sa. two palets engr. ar. on a chief or, three Cornish choughs ppr. Crest—A demi Cornish chough ppr. holding in the beak an ear of wheat or. 60) Nicolls – or Nicoll – (Colneyhatch, co. Middlesex; granted 7 Feb. 1722). Sa. three pheons shafted rompu ar. Crest—A wolf’s head sa. charged with five erm. spots in fesse or. 61) Nicolls – (Mershland, co. Norfolk). Ar. on a chev. az. betw. three lynxes’ heads erased sa. as many crescents erm. Crest—A squirrel sejant sa. collared or, holding betw. the fore legs a water bouget ar. 62) Nicolls – (Tilney, co. Norfolk). Ar. on achev. az. betw. three griffins’ heads erased sa. as many crescents erm. 63) Nicolls – (Hardwick, co. Northampton; of which family were Sir Francis Nicholls, of Hardwick, Bart., extinct, and hs uncle, Sir Augustine Nicolls, of Faxton, one of the Judges of the Common Pleas, temp. James I.). Sa. three pheons ar., these were the arms boine by William Nicolls, Esq., of Hardwickc, temp. Edward IV., but his grandson, Francis Nicholls, Esq., of the same place, had a confirmation of the coat with the addition of “a canton ar.” Crest—A wolf’s head erased sa. 64) Nicolls – (Garisker, co. Kildare). Az. three pheons ar. points down, on a chief of the last a thistle ppr. betw. two trefoils slipped vert. Crest—A naked arm couped at the elbow and erect ppr. charged with a pheon sa. and holding in the hand a bow or, stringed ar. Motto—As an arrow true. This largely British name is a patronymic or baptismal surname meaning “the son of Nicholas”, which is an ancient personal or first name throughout Europe and the world. The male given name Nicholas, Nicolas, Nikolas, and Nickolas all derive from the Greek name Nikolas, from nike (victory) and laos (people), and hence the name literally translates to “victor of the people”. 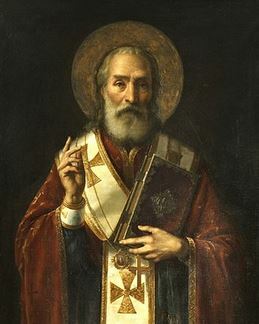 The name was popularized by the Catholic Saint Nicholas, who was Bishop of Myra in Lycia, and one of the inspirations for Santa Claus. Perhaps histories first documented use of this first name comes from the Greek historian Thucydides who mentions a Spartan delegate named Nikolaos, who went to the King of Persia to ask for support in fighting the Athenians. It is believed the name came to England during the Norman Invasion in 1066 AD. Common spelling variants and related surnames include Nicholls, Nicholl, Nicholas, Nicol, Nicolas, Nicoll, Nicolle, and Nicolles, all of which we have coats of arms for displayed above. There are numerous other spelling, including but not limited to, Nickalls, Nickoll, Nickoles, Nickalls, and Nickels. Yet others patronymic forms include Nicoletts, Nicholet, Nickerson, Nixon, Nickinson, Nickisson, Nicklin, Nickling, and Nicklinson. Gaelic versions McNicol and McNickle also exist. There are numerous foreign equivalents: Nickels (German), Niekels (Swedish), Nicole (Flremish), and Nikolas (Norse). Here are how the last name variants ranked in terms of popularity in the United States Census of the year 2000: Nichols (174th), Nicholas (1,205th), Nicolas (5,525th), Nicholls (5,931th), Nicol (6,455th), Nicoll (12,603th), Nicholl (20,636th), Nicolls (43,517th), and Nicolle (107,360th). In the United Kingdom, Nichols ranked 168th in commonness in recent years. In his 1890 book, Homes of Family Names, H.B. Guppy writes the following in regards to the distribution of this last name: “Distributed over the greater part of England except in the north, where its place is supplied by Nicholson and Nichol. The great home is in Cornwall. It is afterwards frequent in Essex, Northamptonshire, Wilts, Devon, Gloucestershire, and Norfolk. If we include Nicholas, in most cases the original form of the name, Monmouthshire is especially distinguished by its frequency. Although in the majority of instances this name is, as just stated, evidently derived from Nicholas, the name of the patron saint of boys, sailors, and parish clerks in the early times (Bardsley), still it would seem probable that in the eastern part of England, as in Norfolk and Essex, it takes its rise from Nincole or Nicole, the Norman pronunciation of Lincoln. Lower, quoting Sir F. Palgrave, gives this explanation. This view is to some extent supported by the circumstance that, in the 13th century, Nicoll in various forms occurred commonly in this part of England—in Norfolk, Suffolk, Cambridgeshire, and Lincolnshire (Hundred Rolls). Nicol and Nicoll are names found over a large part of Scotland, though rare or absent in the north”. The bottom of this page contains some notes (geographic and biographical) about the men and women who bore these coats of arms. Later people bearing this surname that bore the arms: 1) Nicholas, late Heath, Nicholas, of co. Essex and Kent, 15 Feb. 1772; 2) Nicholas (Littlegroom), late [after ?] Franklin, of Dean’s Place, Lawrence Waltham and Hall’s Place, Berks. Quarterly with Franklin, ; 3) Nicholas, John Harris, Post.-Capt., R.N., of Looe, co. Cornw. Addition to Crest. ; 4) of Broseley, Shropsh., ; 5) Nicholl, Thomas, of Trinity Coll., Camb., s. of John, of Balham Hill, London, 22 Nov. 1817; 6) Nicholl to Carne, Rev. Robert, of co. Glamorgan, Wales, ; 7) Nicholl, John, F.S.A., of Theydon Garnon, co. Essex, ; 8) Nicholls, George, s. of Richard, of the City of London. Argent, a chevron sable, between three pheons, gules. ; 9) Nicholls to Brodhurst, Maj.-Gen. Thomas (E.I.C.S. ), of Shropsh., ; 10) Nicholls, Benjamin, Mayor of Manchester, [1853? ]; 11) Nichols, John Bowyer, F.S.A., of Hanger Hill, Ealing, 23 Mar. 1861; 12) H. S., of Cornwall Terrace, Regent’s Park, and Piccadilly, London, Bookseller, 1896; 13) Nicoll, John, of Colney Hatch, co. Middx., fined for Sheriff of London, 29 April 1720; 14) Nicoll, Sir Charles Gounter, K.B. , of Racton, co. Sussex; 15) Donald, Sheriff elect of London, of Acton, co. Middx., ; 16) Nicolls to Trafford, Edward, of Swithamby Park, co. Staff, ; 17) Nicholls to Trafford, Lieut.-Col. Thomas S. (of Panthowell, co. Carmarthen), now of Hereford, . The Domesday Book of 1086, which was a census of England and Wales dictated by William the Conqueror, documents the existence of one Nicolaus. Another person who bore this as a first name was Nicholas D’Albini, one of the Dukes of D’Albini in Normandy, who settled in Cheshire in 1054 AD, with his successor, William, becoming the Baron of Malpas. John Nichole was documented as living in 1170 AD in Essex Records Office. A one William Nicholas was recorded in Berkshire in 1265 AD. The Curia Regis Rolls of Suffolk documented one Waleram Nicholai in 1198 AD. The Hundred Rolls of 1273 AD, a census of Wales and England, known in Latin as Rotuli Hundredorum, documents three people bearing this surname: John filius Nicholai in county Salop, William filius Nicoll in county Salop, John Nicole in county Oxford, Stephen Nichole in county Oxford. The Poll Tax of Yorkshire in 1379 AD lists the following bearers: Alicia Nicholmayden, Robertus Nicholman. Other early bearers include John Nichole (London 1270), William Nicholas (Bedford 1311), Gylbred Nycholay (Scotland 1446 AD). Early baptisms include 1) Elizabeth, daughter of John Nickless, in St. James Clerkenwell in 1703, 2) Robert, son of Thomas Nicholas, in 1730, and 3) Joane Nichollsonne at St. Peter Cornhill in 1562, Early marriages involving this surname include 1) James Nickleson to Ann Goodman at Canterbury in 1687, 2) Robert Nicholls to Elizabeth Moye at St. Antholin in London in 1707, and 3) Caleb Nicholetts to Sara Darby in 1743 at St. Antholin. The famous genealogist Bernard Burke’s book “The Landed Gentry” discusses the surname five established branches of this family: 1) Nicholl of The Ham, 2) Nicholl of Merthyr Mawr, 3) Nicols of Lawford Hall, 4) Nicol of Ballogie, 5) Nicolls of and Garisker. The first, Nicholl of The Ham, begins with a mention of Goerge Whitlock Nicholl, Esq. of the Ham in county Glamorgan and Court Blethin in Monmouth. He was Barrister-at-Law of the Middle Temple, Constable of Castle of Llanblethan, and Mayor of Cowbridge. He was born in 1816 and in 1853, he married Mary Lewisa, daughter and co-heir of William Nicholl of Penlline and had five children with her: Iltyd George Bond (1856), Iltyd Bond (1862), George Bleddyn Tyrrrell (1865), Digby Seys Whitlock (1867), and Edith Eleanor. Burke traces the lineage of this family back to Iltyd Nicholl, of the Ham, in the parish of Llantwitt Major in county Glamorgan. He was born in 1603 and descended from Sir Pain Turberville (one of Fitzhammon’s knights) and in 1630 he married Barbara, daughter of Alexander Yorath. His son and heir was Iltyd Nicholl born in 1635. He married Mary, daughter of Morgan Jones of Great Frampton and had one daughter and four sons with her prior to his death in 1700. He was succeeded by the eldest son, Reverend Iltyd Nicholl, Rector of Llanmaes, who married Susannah, daughter and co-heiress of John Whitlock of Bingham and had issue with her. His son Whitlock was his heir. Whitlock Nicholl was J.P. and D.L., and High Sheriff in 1746. He was born in 1720 and in 1741, he married Anne, daughter and co-heir of John Lewis. He had fourteen children with her. The family bore the following coat of arms: Sable, three pheons argent, Crest: On the battlements of a tower a Cornish chough wings expanded all proper. The second, Nicholl of Merthyr Mawr, begins with a mention of John Cole Nicholl, Esq. 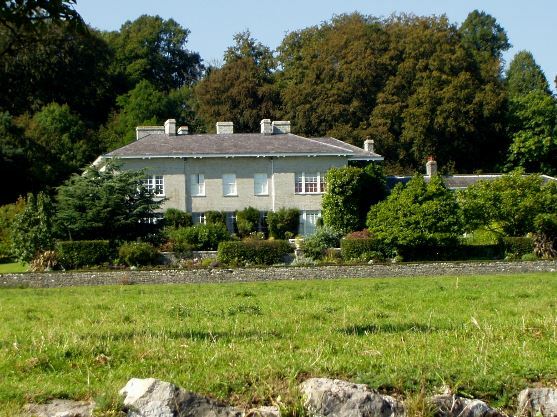 of Merthyr Mawe House in county Glamorgan who was a Justice of the Peace and D.L. He was born in 1823 and in 1860, he married Mary De la Beche, the daughter of Lewis Llewelyn Dillwyn, Esq. of Hendrefoilan, and had children with her: John Iltyd Dillwyn (1861), Lewis Dillwyn (1864), Rice Mansel Dillwyn (1875), Mary Theresa, Gwenllian Jane, and Dorothy Caroline. Burke traces the lineage back to John Nicholl, Esq. of Llamaes, third son of Reverend Iltyd Nicholl of the Ham. In 1773, at the age of 47, John married Elizabeth Harvard and left two sons with her: 1) Iltyd (who married Jane, daughter of Henry Morgan) and John. The second son John, known as the Right Honorable Sir John Nicholl, was of Merthyr Mawr and was a Member of Parliament, Dean of Arches, and Judge of the Prerogative Court. He was born in 1759 and in 1787 he married Judy, daughter of Peter Birt of Wenvoc Castle, and he had issue with her: John, Mary Anne, Judy, and Katherine. He died in 1838 and was succeeded by his only son John. John was born in 1797 and in 1821, he married Jane Harriot, daughter of Thomas Mansel Talbor, Esq. of Margam Abbey, by the Lady Mary Lucy Strangways his wife. Together they had John Cole, Iltyd Thomas Mansel (a captain in the Royal Navy), Edward Powell (who married Sarah Jenkins), Stephen Henry Fox, Christopher Rice Havard (Lieutenant Colonel of the Rifle Brigage), Spencer Perceval Talbot (Captain of the 43rd Light Infantry), Lucy Mary, Chirstiana Judy, Judy Theresa, and Katherine Maria. He died in 1853. The family more the following arms: Sable, three pheons argent, with a Crest: A castle surmounted by a Cornish chough wings expanded all proper. The third branch, Nichols of Lawford Hall, begins with a mention of Francis Morgan Nichols, Esq. 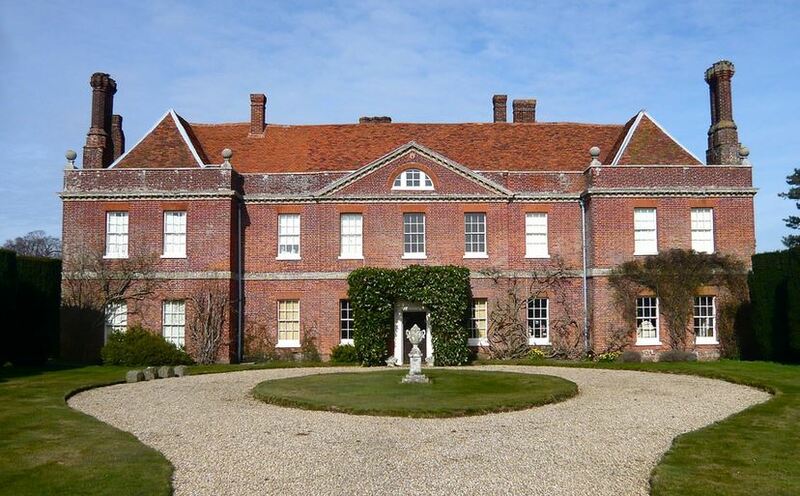 of Lawford Hall in Essex, who was a Justice of the Peace and a Barrister-at-Laq. He was born in 1826, and in 1857, he married Mary, daughter and co-heir of Walter Buchanan of Penrith and Irene Pearce. They had four children together: John Bowyer Buchanan (1859), Walter Buchanan (1860), Irene (1862), and Isabel (1864). Burke traces the lineage of this line back to John Nichols, F.S.A., who married Anne, daughter and heir of William Cradock in 1776. He later married Martha, daughter of William Green of Hinckley, in 1778. He died in 1826, having left several issue, including Martha, Mary, John Morgan, and others. John Bowyer Nichols, of Hanger Vale, Ealing was born in 1779 In 1805, he married Eliza, daughter of John Baker. 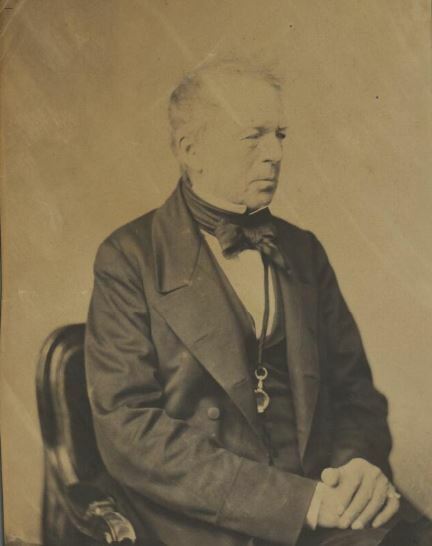 He died in 1863, but had six sons and eight daughters, including: John Gough of Holmwood Park in Surrey, Robert Cradock of Sussex Place in Hyde Park, Francis Morgan of Lawford Hall, Mary Anne Hiffe, Emma Onebye (married Thomas Griffiths of Hammersmith), Harriet Elizabeth (married William Comyns Berkeley), Isabella Georgina (married George J. Elvey), and Anna Octavia (married William John Jarvis in 1817). The family had a coat of arms blazoned as follows: Azure, on a fess humette between three lions’ heads erased or, two eagles rising of the field. Crest: A lion’s head erased azure gorged with a dollar gemell gold between two wings paly of six or and azure. The fourth branch, Nicol of Ballogie, begins with a discussion of William Edward Nicol, Esq. 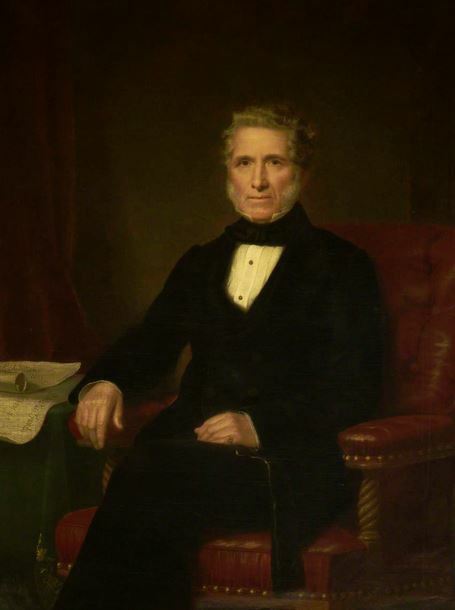 of Ballogie in county Aberdeen who was a Justice of the Peace and D.L. He was born in 1846 and in 1873 he married Catherine Nicholl Lewis, only child of J.W. Prout of Neadsen House. Burke states the family originally settled in county Sutherland and feuded with the Mackintoshes, after which they went to Aberdeen. William Nicole, Esq. (son of James Nichol and Mary Ranken) had issue: James Dyce (a member of Parliament), Jane (who married J. Fleming), Mary (married A. Low), Margaret (married William Nicol), and Elizabeth Forbes (married Robinson Duckworth of Liverpool). He died in 1826 and was succeeded by his son, James Dyce Nicol. He was born in 1805 and was a Justice of the Peace and D.L. 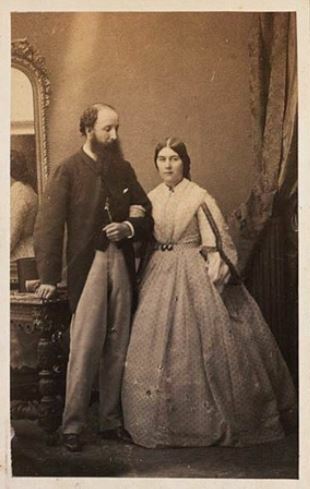 In 1844, he married Catherine, daughter of Edward Loyd of Manchester and London, and had issue with her: William Edward, James Dyce, Lewis Loyd, Margaret Dyce, and Sarah Loyd. This family bore the following blazon: Azure a fess between six mascles argent, with a crest: A greyhound’s head proper. The fifth branch mentioned is Nicolls of Garisker. It begins with a mention of George Archibald Nicolls, a Justice of the Peace, R.N., and High Sheriff in 1877. In 1869, he succeeded the estate of his Kinsman, John Nangle. Burke traces the lineage to Nangle, or “de Angulo” that was established in Ireland by Gilbert de Angulo, an Anglo-Norman who was a companion of Strongbow in 1169 AD. One of his ancestors was Richard Nangle, Esq. of Coole, who married Eleanor Fitzsimmons. He was a Major in King’s Charles’ army that fought Oliver Cromwell. They had two sons: Garrett and Frances. The book “Genealogical Guide to the Early Settlers of America” lists sixteen bearers of this surname: 1) Charles Nicholet of Salem who came in 1672 and was a preacher, but went back to England by a vote of the town; 2) Adam Nichols of New Haven who married Ann, daughter of John Wakeman in 1645, with whom he had the following issue: John (1645), Barachiah (1647), Esther (1650), Lydia (1652). He went to Boston and later Hartford where he died in 1682, with an only surviving child named Esther Ellis; 3) Allen (also spelled Allyn) Nichols of Barntstable married Abigail, daughter of Austin Bearse, in 1670 and had the following issue with her: Nathaniel (1671), Mary (1673), Josiah (1676), Joseph (1678), Abigail (1681), Priscilla (1682), Experience (1684), Mary, Joseph, James, and Abigail May; 4) Cyprian Nichols (also called Siborn) arrived in Hartford CT, 1668 and was a freeman the following year. He was from Witham, Essex. He served in various town offices; 5) Francis Nichols of Statford who had sons Isaac, Caleb, and John (all born in England) prior to his 1650 death. He held a small estate; 6) Hugh Nichols of Salem, who married Priscilla, daughter of Samuel Shattuck in 1694; 7) Isaac Nichols of Stratford, who arrived in 1639 and was the son of Frances and was born in England. He was likely a sergeant who trained men in the militia. 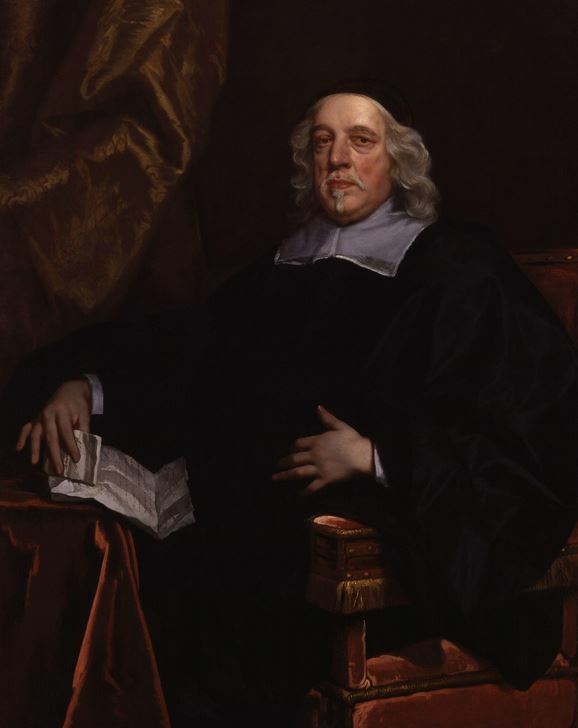 He had many children: Mary (1648, who married Isreal Chauncey), Sarah (1649), Josiah (1652), Isaac (1654), Jonathan (1655), Ephraim (1657), Patience (1660), Temperance (1662), Margery (1663), Benjamin (1666), and Elizabeth (1668). He had a sizeable estate and worked as a soap boiler. His wife’s name was Margaret; 8) James Nichols of Malden, who in 1660, married Mary, the daughter of George Felt and had the following children with her: Mary (1661), James (1662), Elizabeth, Nathaniel, Ann, Samuel, and Caleb. He was a freeman in 1668 and died in 1694; 9) John Nichols of Watertown who was a proprietor in 1636. With his wife Grace, he had issue: Isaac, Sarah, and John. His son John served in King Philip’s war; 10) Jonathan Nicholas, who was a soldier of Moseley’s company in 1675, and later under Captain Turner in Connecticut in Philip’s War; 11) Mordecai Nichols of Boston who was a mariner and married Alice, daughter of Robert Hallet, in 1652 and had issue: John (1653) and Samuel (1658); 12) Nathaniel Nichols of Charlestown who died before 1687 and had a widow named Joanna with whom he had issue: Elizabeth, Hannah, and Hingham; 13) Randolph (or Randal) Nichols of Charlestown who married a woman named Elizabeth (likely the daughter of Thomas Pierce) and had issue with her: Sarah (1643), Elizabeth (1647), Hannah (1647), John (1654), Nathaniel (1655), William (1657), and Daniel (1658); 14) Robert Nichols of Watertown, who married Sarah, the widow of John Goss, in 1644, and received a grant of land from the Governor in 1680 by Casco Bay that was five square miles with do adjoining islands; 15) Robert Nichols of Saybrook recorded in 1664; and 16) Robert Nichols of Falmouth in 1679 who was the son of Robert (perhaps) and was killed by Native Americans in 1675 at Scarborough. Mary Fitz-Nichols was a servant belonging to Richard Michell who came in the ship Nathaniell to Boston in 1679. Austin Nicholas arrived at New Plymouth in November of 1621 aboard a ship named Fortune. Elizabeth Nicholls came to New England from the port of London in 1635 aboard the Susan & Ellin. Jeremiah Nicholls came in 1635 to St. Christopher’s aboard the Amitie. A one William Nichollas was recorded as living in Att West and Sherlow in Virginia in 1623. 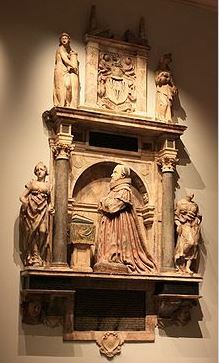 A Thomas Nicholls was buried in Virginia in 1623. Sarah, daughter of Marmaduke Nicolls, was baptized in 1679 in St. Georges, a parish in the Barbados. A one John Nicolls was buried in 1678 in the parish of St. James in Barbados. Other early settlers include: John Nichols (Virginia 1607), Walter Nichols (Virginia 1637), Clement Nichols (New England 1714), William Nichols (Quid Vidi, Newfoundland in 1708), Thomas Nichols (Nova Scotia 1750), Mary Nicholas (Pennsylvania 1703), Daniel R. Nicholas (Louisiana 1812), Matthias Nicoll (New York, 1664), John Nicoll (New Jersey 1685), and Stephen Nicoll (Massachusetts 1740). Famous people with this last name include: 1) Sir Edward Nicholas (1593-1669) who was an English office holder and Secretary of State to King Charles I and II, 2) Wilson Cary Nicholas (1761-1820) who was the 19th Governor of Virginia and was a United States Senator, 3) Donald Nicholl (1925-1980) who was an English-American producer and screenwriter that produced numerous famous sitcoms, and 4) Harry Nicholls (1915-1975) who was an English recipient of the Victoria Cross. Given the martial nature of the origins of Heraldry, in the identification of knights and men-at-arms it can come as no surprise that mediaeval weaponry of all types are frequently to be found in a coat of arms. The pheon is a specific type of arrow head with barbs and darts and hence quite distinctive in appearance. Like the other symbols related to arrows, Wade suggests the symbolism is that of “readiness for military service”. here can be no animal more clearly associated with Heraldry than the lion, majestic King of the Beasts. The head of the lion also appears alone on many coats of arms, but its use in this form is largely to enable a clear difference from similar arms that use the complete animal, and its significance should be taken to be the same as the lion entire, being a symbol of “deathless courage”.